Did you know that Cold Stone sells ice cream cupcakes? They do. Did you know that ice cream is my ultimate portion control weakness? It is. If you put this in front of me and left me alone, it would be gone when you came back. Individual ice cream cupcakes, however, this is portion control I can live with. Using Cold Stone as my inspiration, I created Black Bottom Ice Cream Cupcakes, a dessert that combines the sweet crunch of chocolate, creamy ice cream and and soft spongy cake! I used a white cake mix (gasp), made with applesauce and egg whites, fat free strawberry ice cream, and semi-sweet chocolate chips. The combinations of flavors are endless and I can’t wait to make different versions of these cupcakes. They would be a perfect dessert for a child’s birthday party or for an adult like me who has no control around ice cream. There are a few components to this recipe, but are really easy to make. I love ice cream on a sugar cone! Holy yum!!! I love this idea, esp. for a kids. My kids wouldn’t know what to go for first — chocolate, cake, or ice cream! The ultimate dilemma. Such a great idea, I just love it! Stunning photos too! I too have absolutely NO control around ice cream. I literally could sit and eat an entire tub. The only thing better than ice cream, is ice cream with bits of cake in it! These look ah-mazing!!! great idea to healify a decadent treat! I ate most of these last week, and now that they are gone I’m making my own version. I put the leftover cake, strawberry ice cream and chocolate chips in a bowl together, and just add spoon. It’s not as pretty, but it gets the job done! I love this idea! It’s like the perfection portion of chocolate vanilla and strawberry! I didn’t even realize that, but you are right!! I love your recipe/ print format, very neat! Thanks! 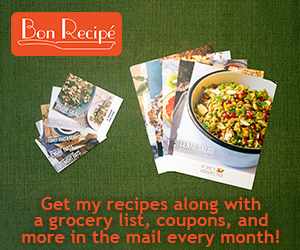 I was hoping that would make things easier if anyone wants to print recipes from the blog. This is such a great idea – perfect for parties! Wow! Those look so decadent and simply. I am defiantly putting that on my recipe to do list. this looks amazing! thank you for sharing this post:) i am so craving for some right now. Ice cream is totally my weakness as well. I’ll occasionally buy a carton and tell myself that I’ll only have a spoonful. Always a big mistake. These cupcakes though? Portion control done right. they look delicious! Those look amazing!!!! Ice cream cake is one of my favorites so to have it proportioned is perfect!! These look amazing and I can’t wait to make them :) But my favorite way to eat ice cream is on Thursday nights on the floor of our Highland Lake apartment…preferably straight from the container! Cold Stone better watch out! These look delicious. wow those look suuuuper delicious!!! cant wait to try your recipe for myself! These look great and so easy to make! Thank you!